In Florida, the mere possession of any quantity of THC Oil is a third-degree felony. This includes oil that can be used in a “vape pen,” gummies, hash oil, edibles and all other forms of THC concentrate. In other words, although the possession of 20 grams or less of “leaf” marijuana is merely a misdemeanor, the possession of even a trace amount of THC oil may result in the prosecution for a felony offense. The penalties for a third-degree felony are up to five years in state prison and fines of up to $5,000.00. 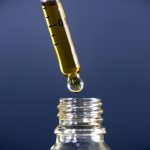 Prescription Defense – In some cases, our client had a lawful prescription for the THC Oil that he had in his possession. Legal Issues / Search and Seizure Issues – All persons in Florida have the right to be free from unreasonable searches and seizures. In some cases, our highly ranked THC Oil defense attorneys can establish that the search or detention conducted by the police was unlawful. Lack of Possession Defense – In many THC Oil cases arising out of the St. Petersburg and Clearwater areas, our clients were the subject of a traffic stop in a “jointly occupied vehicle.” In such cases, it is insufficient for law enforcement to show that our client was in the car with the contraband. Under Florida law, mere proximity to an elicit substance is insufficient to establish knowledge in this scenario. Chemical Testing Defense – After an arrest for Possession of THC Oil takes place, the substance is sent to the Pinellas County Forensic Laboratory for analysis. If the substance is not THC Oil, the prosecution cannot stand. Early Intervention with the Prosecutor – After an arrest, you do not immediately have a court date as the prosecutor will thereafter determine whether to formally file charges against you. In some cases, our early intervention with the prosecutor can sidestep the formal filing of charges. Dismissal through Diversion – For client’s with little criminal background, it may be wise to seek a dismissal through “Pre-Trial Intervention.” Your successful completion of this program will result in the dismissal of the charges against you. Avoiding a Conviction – A felony conviction will have a significant impact on your civil liberties, ability to find meaningful employment, obtaining admission to colleges or universities, and renting an apartment. In some cases, our office is able to negotiate a disposition known as a “Withholding of Adjudication.” This outcome will avoid a driver license suspension, as well as the loss of civil rights, that would otherwise result from a conviction. Sealing and Expungement – In some cases our office is able to resolve our client’s case in a manner that allows him/her to seal or expunge the record of arrest. This legal remedy allows our client’s to truthfully deny that the arrest ever took place in most scenarios. An arrest for any criminal offense can be scary. If convicted of Possession of THC Oil, you are facing the potential of jail time, fines, probation, and even the loss of your driver’s license. Put our experience to work for you and call the Law Offices of Russo, Pelletier & Sullivan at (727) 578-0303 today for a free consultation.